The girls’ choir, the Roden Girl Choristers, was founded in September 2000 and is committed to the development of young singing talent. 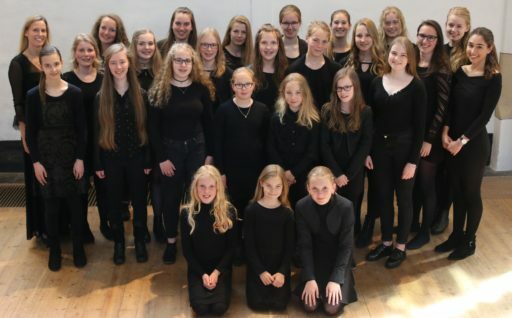 This dynamic group of girls, under the leadership of artistic director and conductor Sonja de Vries, has already gained a sound reputation. The choir consists of around 20 to 25 girls aged 8-18 years. The choir is part of the Stichting Koorschool Noord Nederland (The Northern Netherlands Choir School Foundation). Their permanent accompanist is organist Sietze de Vries.